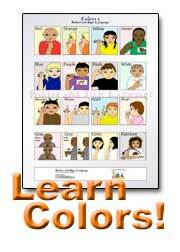 Baby Sign Language Classes - Florida, Tampa, St. Augustine, Longwood, etc. Details about business, classes, and discounts: Utilizing the Baby Signs® program for hearing babies, these classes offer you and your child the chance to learn and grow together while reducing your stress and baby's frustration. Contact me today to join a class or schedule a class for your group in comfort of your own home or facility. My schedule is flexible. Details about business, classes, and discounts: The Parent & Hatchling signing class is designed for a parent/caregiver and hearing baby or toddler to take together. You will learn useful signs to communicate with your baby or toddler to help reduce (or even eliminate) the terrible-twos! Baby friendly activities, songs, and books are incorporated into the hour long session. Course materials are included in fee. Contact me to join a group Iím hosting, or create and host a group at your home (held at a day and time that suits your group) and get a host discount! A Nesting Parent Course is also offered for those expecting a baby. Fees: Please go to www.earlytolearn.com/courses-workshops/ for current pricing information. Details about business, classes, and discounts: Group and Private Classes are now being scheduled throughout Broward and eastern Miami-Dade County. Call today to set up a class for your playgroup. They can be offered in the comfort of your own home, facility, or business. My schedule is very flexible and maybe altered to meet your needs. Call or email me to let me know what works best for you! Details about business, classes, and discounts: With the use of a few simple ASL signs babies can communicate long before they are able to speak. 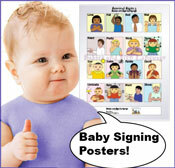 Itty-Bitty Signers offers classes and workshops based on the award winning SIGN with your BABY® program. Why wait to communicate? We can show you how. Call us today or visit our website to arrange for an in-home visit or to see a list of scheduled events in your area. Fees: Please visit the website for the current class and fee schedule. Fees: The fees are $150 for a 10-Week Session. This fee includes: Signing Book, Flash Cards and Weekly Handouts. Details about business, classes, and discounts: ASL for hearing babies and their Moms,including parenting tips, and Literacy. Our classes meet 1 hour per week for 10 weeks for Ages 6mos.-2yrs.Our program takes you through a typical day in the life with your baby. From "wake up" to "bedtime" and everything in between. Our goal is to neutralize stressful situations by creating more meaningful, positive interactions with your child. Fees: Fees vary depending upon the class-- please check my website for the current schedule.